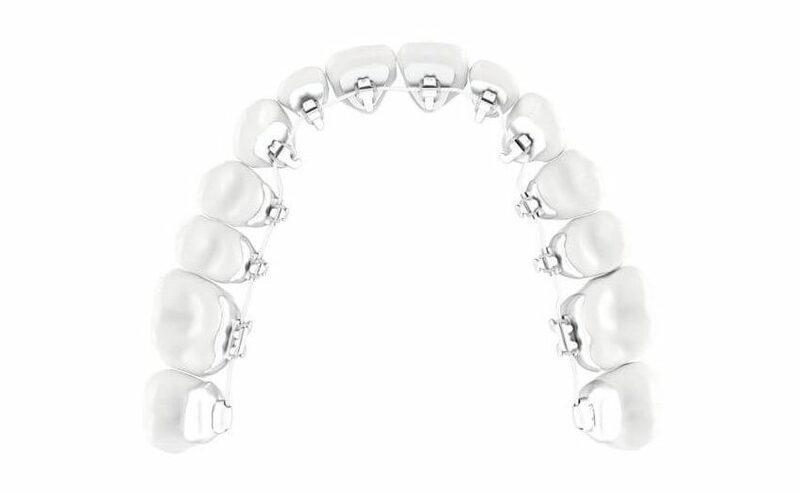 Dental adjustment with fixed external aids is sometimes hard to imagine for adults yet our experience shows that patients wearing them are usually the center of attraction but in a positive and motivational sense. The elements of the fixed appliance are called brackets and are made either of metal or ceramics. The latter has an advantage – it is much less noticeable and esthetics increases self-confidence. There is also no risk that the ceramic material might become “spotty” in the course of treatment. 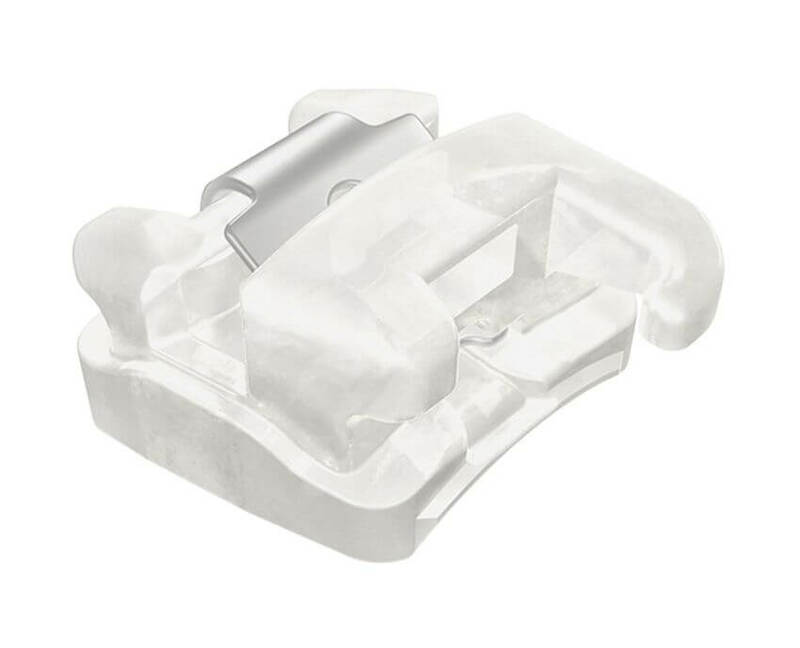 By using our self-ligating High-tech Bracket System, less power has to be applied to induce tooth movement. Thus most patients hardly feel any discomfort. If tooth movements are more complex, additional temporary anchoring implants may be needed. These consist of bony screws of about 10 mms in dimension which are inserted into the bone between two roots or in the palate. This maximum anchoring process today enables us to manage tooth movements even under most difficult circumstances. The implants are removed after treatment. 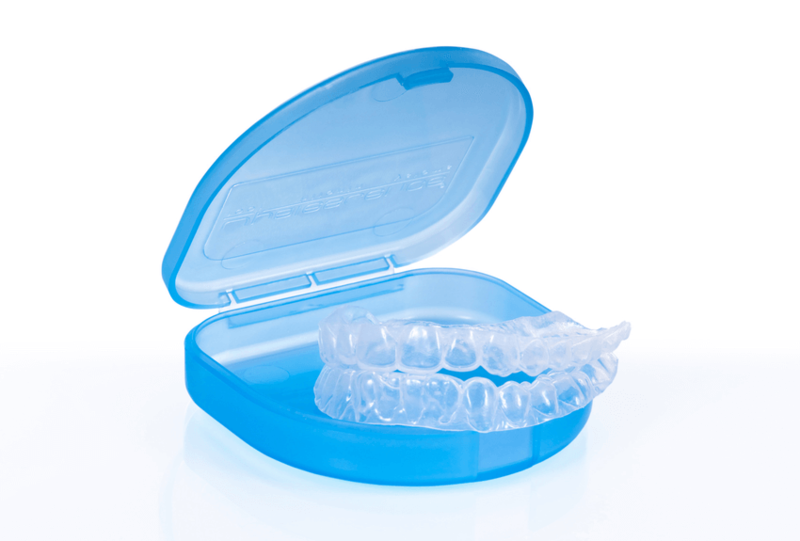 This appliance is affixed to the internal surface of the teeth and is therefore invisible. This type of brackets is considerably more work-intensive but we cooperate with a lab which is highly specialized in this type of appliance. This appliance is almost invisible and detachable, using very thin splints. These splints bring the teeth step by step into the position established at the start of treatment. They have to be worn day and night but may be removed during the meal and for cleaning the teeth. This makes it much more comfortable for our patients. Unfortunately not all types of malocclusion are suitable for this procedure. We are always at your disposal for an individual advisory session. Invisible detachable splints are partly made by our own team but we also cooperate with leading international manufacturers.